Several Star City High School Beta students attended the State Beta Leadership Summit on October 4 & 5 at the Hot Springs Convention Center. Star City High School received an award as a National Beta Outstanding Leadership School. Austin Palazzi attended serving as the current Arkansas State Beta Vice President. 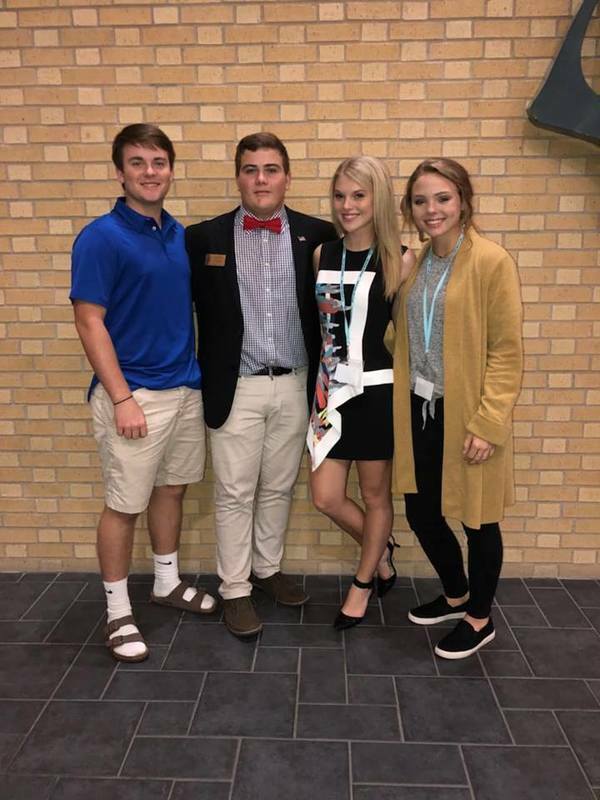 Hayson Lane attended as a candidate for Vice President for 2019-2020 State Beta, which he will compete for in January. Olivia Reed and McCoy Vereen attended as leadership representatives. Ennsleigh Levengood competed for Arkansas Leadership Ambassador. Her competition consisted of observation of leadership and interview. Ennsleigh was one of 3 chosen for the state of Arkansas. She will be eligible to compete at Nationals and she will attend an all expense paid Leadership Conference in Washington, D.C. in the summer.